You can print this certificate on your own printer when you earn the award! 1. 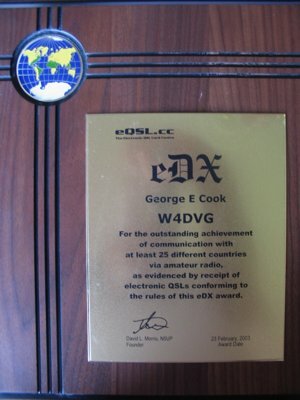 The eDX award has been established to provide an incentive to Amateur Radio operators and Short Wave Listeners (SWLs) to use eQSL.cc as their method of QSLing. It is not associated with or endorsed by the ARRL in any way. 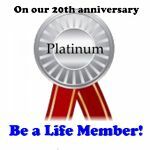 Do not contact ARRL with questions about this award, because it is created and administered solely by eQSL.cc! Further, the award is also available to Short Wave Listeners (SWLs) subject to the same criteria. 3. Applicants can be individuals or a club station, subject to Rule 14. 3a. If an applicant is combining credits from multiple attached accounts, the account used for the application must have earned at least one (1) of the credits. 4. A certificate will be available for downloading from eQSL.cc at no additional cost, once the AwardMaster has approved the application. 5. Additional certificates will be available in increments of 25 countries. Applicants may watch the Standings and check the My Awards page for the status of pending applications, plaque orders, and next levels of the award. An attractive walnut plaque is also available. See the My Awards screen for current price including shipping to your location. The plaque is similar to the eDX100 plaque, but with appropriate changes in wording. 6. When a user has met the eligibility requirements, the "Application" button in My Awards will become available. 7. The user may then fill out an application online which will be sent to the AwardMaster, who will confirm that all rules and requirements have been met. 8. Standings may be viewed at any time on the Standings page also available through the My Awards page. b. If an SWL is applying for the award, it refers to reception of another amateur radio station by that SWL. 10. Awards are available for proof of contact with 25 to 100 approved countries as defined by the eDX100 Country List. Over 100 countries please use the eDX100 awards system. This upper limit will not apply to SWL applicants. 11. Proof of contact is defined as an eQSL card received from an amateur radio station with an approved Authenticity Guaranteed certificate. No credit will be given for eQSL cards sent. This is an important point. 12. To qualify, an eQSL cannot have been rejected by the recipient prior to issuance of the award, and cannot have been retracted by the sender due to an error. Proof of contact must be in the form of retrievable eQSL cards. eQSL cards that have been deleted from the eQSL.cc database will not be accepted as proof of contact. 13. No proofs of contact other than eQSL cards posted to the eQSL.cc database will be permitted. 14. All eQSL cards used as proof of contact must be posted in the eQSL.cc database to one or more callsigns owned by the applicant. In the case of multiple callsigns, these must be attached to each other and must meet all other requirements of these rules. The purpose of combining credit from multiple attached accounts is to allow an applicant to qualify for the award even if he moved or operated under different callsigns. It is not intended to allow an applicant to mix credits earned by an individual with credits earned by a club station. 15. Contacts may have been actually made at any date in the past so long as an eQSL card has been posted to the applicant, who was the owner of that callsign on the date of the QSO. 16. The term "Country" as used in this award shall consist of one of the approved list of countries currently in effect in the eQSL.cc database. It is approximately based on the ARRL DXCC Entity List. 17. All contacts must be made with amateur stations working in the authorized amateur bands or with other stations licensed or authorized to work amateurs. In the case of an SWL applying for this award, all eQSLs received must have been sent by amateur radio stations. Amateur radio stations applying for this award may not use SWL eQSLs to qualify for a country. 18. Unlike the ARRL DXCC, contacts made through repeaters, satellites, and other power relay methods are permitted, and stations contacted may be either land-based or mobile from automobiles, ships and boats, aircraft, or space vehicles. 18a. Contacts must have been made by RF communications. EchoLink, IRLP, and other VOIP contacts will not receive credit. Because it is not possible to determine whether a log entry with a mode of WSPR is a one-way beacon or a two-way QSO, no WSPR contacts will be counted as credit for this award. 19. In the case of Amateur Radio Station applicants, all contacts must have been made by the applicant from the same eDX100 country. 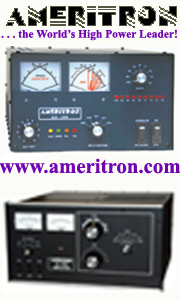 The location of any station shall be defined as the location of the transmitter. For the purposes of this award, remote operating points must be located within the same country as the transmitter. In the case of SWLs, all receptions must have been made by the applicant from a receiver located within the same eDX100 country. 20. The use of fraudulent eQSLs for fictitious contacts may result in disqualification of both the applicant and the sender of the eQSL card. Any holder of an eDX award who knowingly submits fraudulent eQSLs will forfeit the right to continued eDX membership. 21. Any person who fraudulently registers himself as another person in order to create eQSL cards will be disqualified as above. 22. The AwardMaster will have sole discretion to accept or deny applications for the eDX awards, based on available evidence supporting or denying the validity and authenticity of confirmation eQSLs. 23. The AwardMaster will have final authority over any disputes regarding this award, and may amend the rules at any time to provide further clarification of disputed or unclear issues. 24. The management of eQSL.cc will appoint the AwardMaster. 10Nov2006 Added new plaque in Rule 5. 14Jun2008 Clarified ambiguity in Rule 9. This is not a rule change. 22Sep2013 Rule 23 said "contest" when it should have been worded "award"